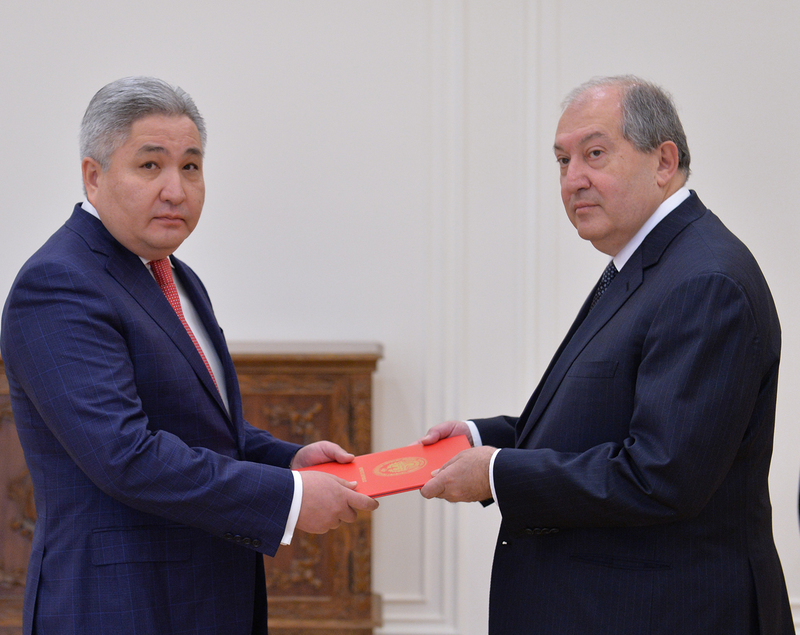 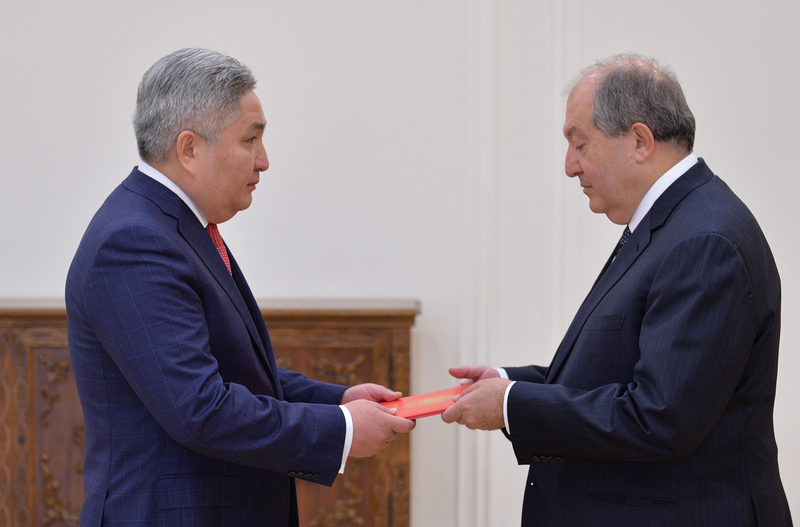 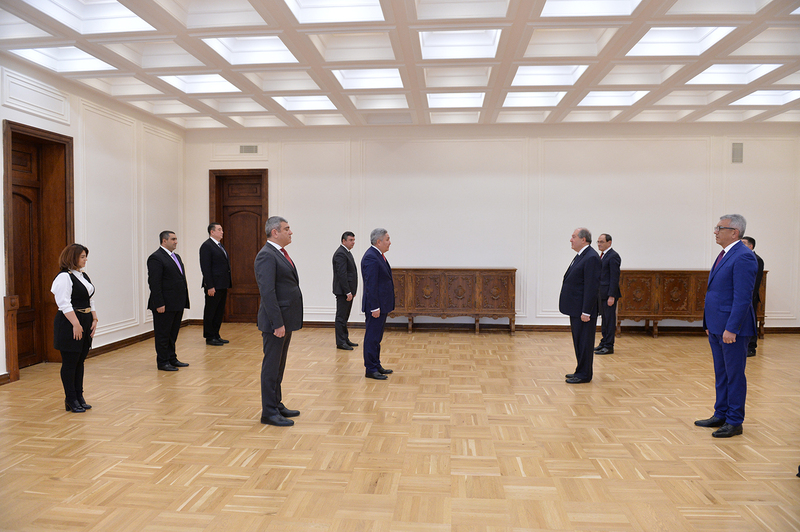 Today, the newly appointed Ambassador of the Republic of Kyrgyzstan Bolot Otunbaev (residence in Moscow) presented his credentials to the President of Armenia. 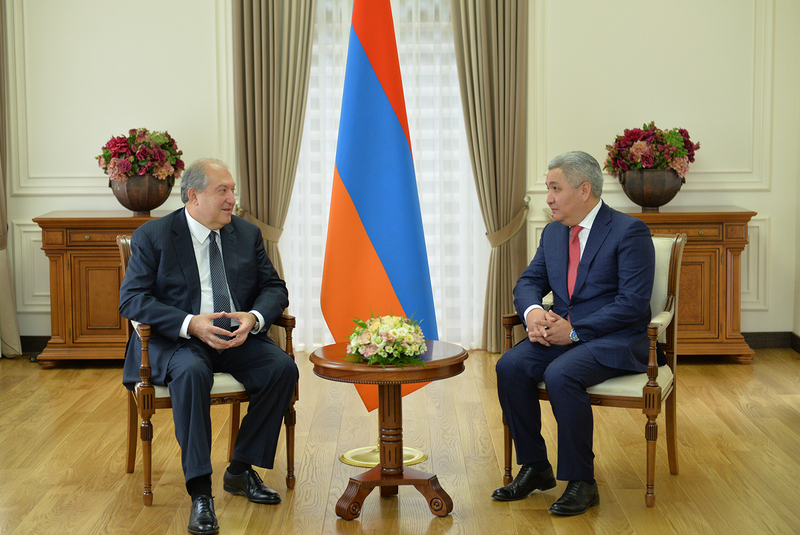 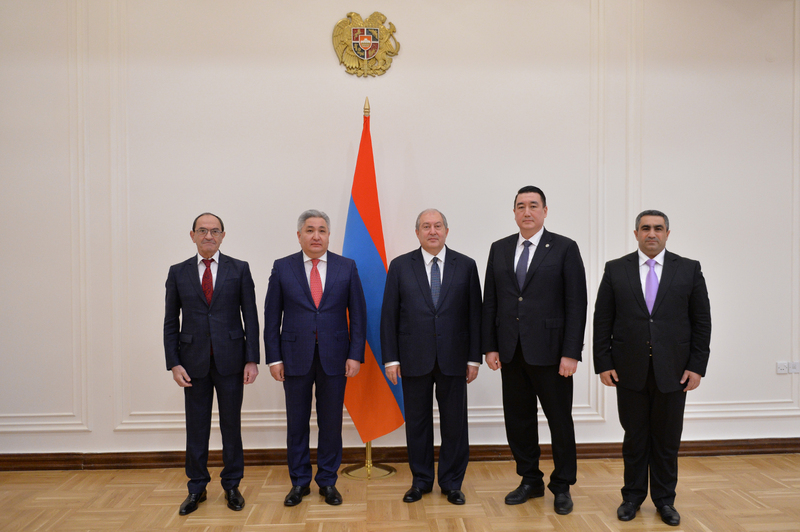 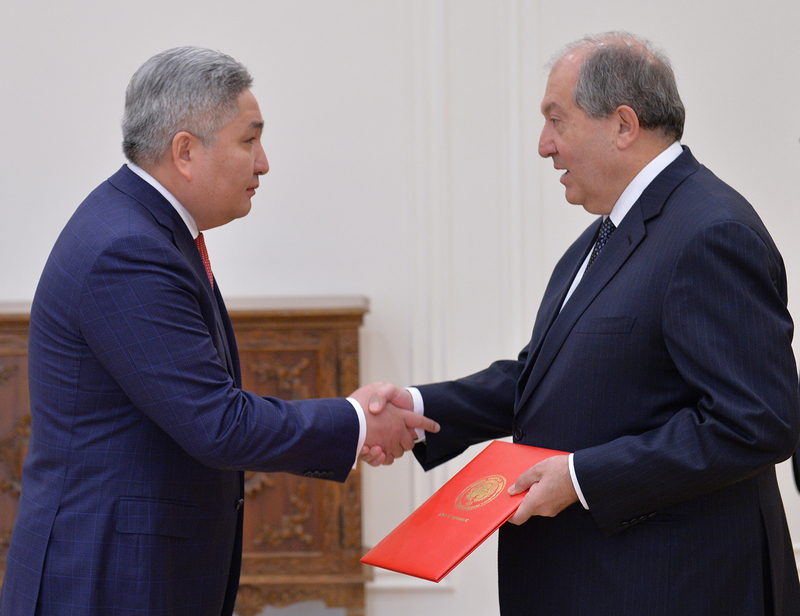 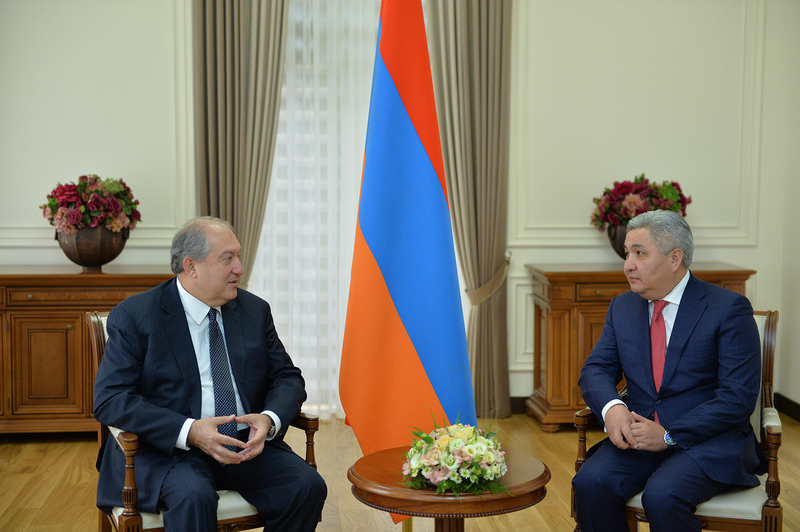 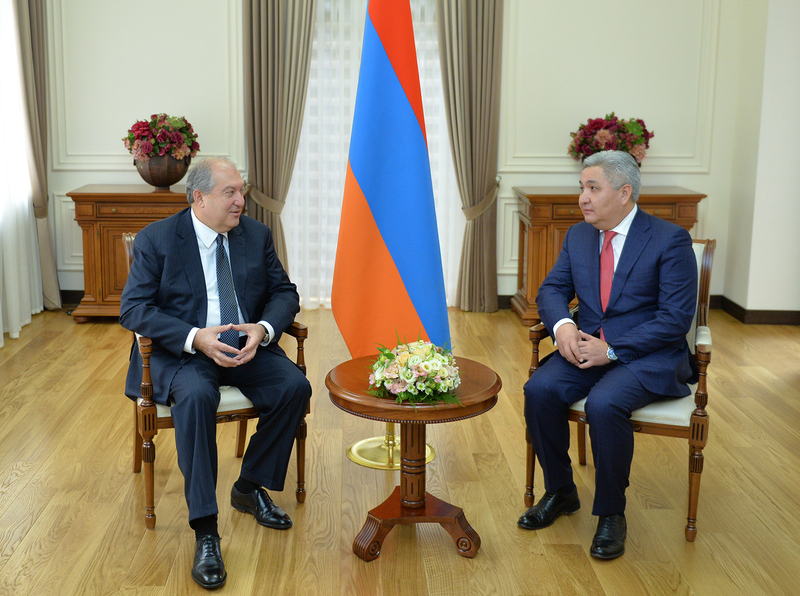 Armen Sarkissian congratulated and wished success to the newly appointed Ambassador and expressed confidence that he would bring his contribution to the development of the Armenian-Kyrgyz relations. 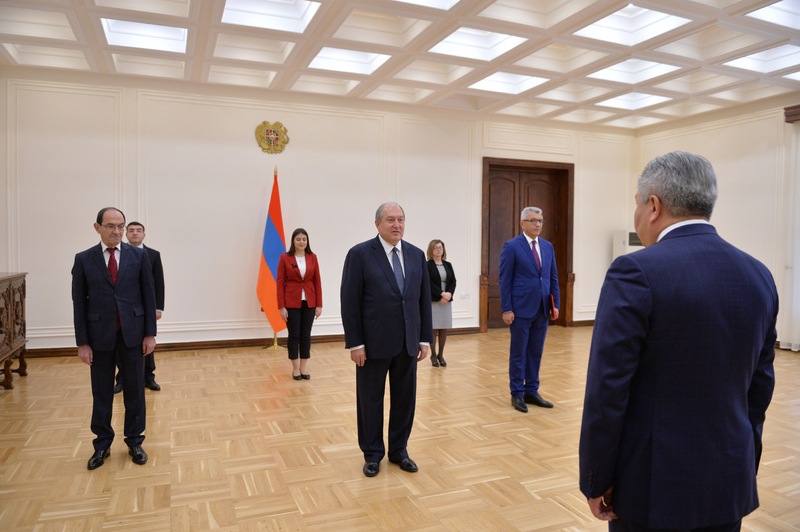 The President noted that the invigoration of the political dialogue, deepening of the trade, economic, and humanitarian ties stem from the interests of the two peoples. 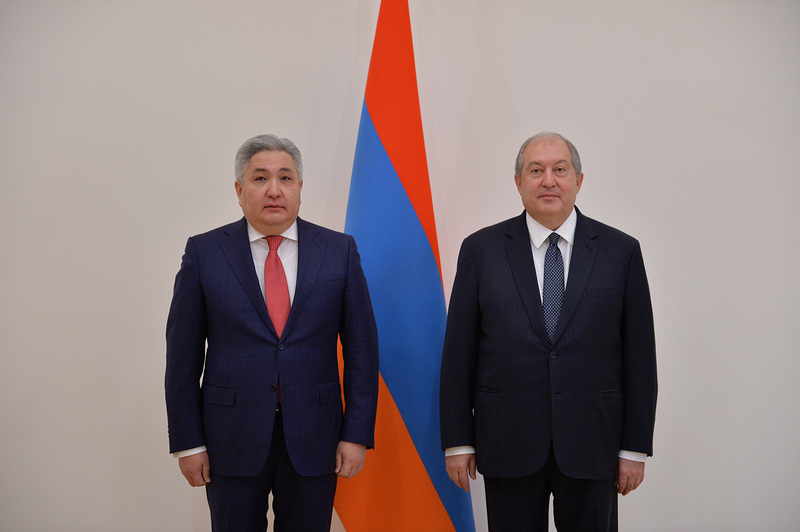 Ambassador Extraordinary and Plenipotentiary of the Republic of Kyrgyzstan Bolot Otunbaev in his turn assured that he would do his best to further expand and deepen the bilateral and multilateral cooperation.